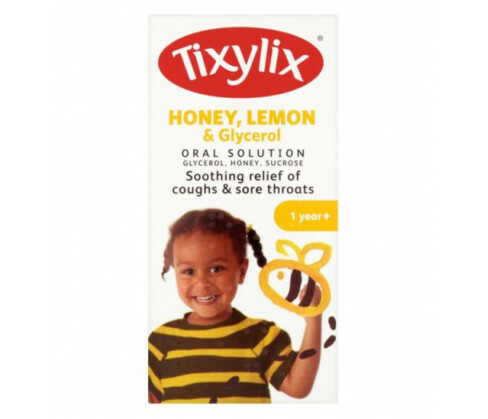 Tixylix Honey and Lemon is formulated for soothing and relieving sore throat and cough in children. Not recommended for kids below 1 year of age. Do not accept the bottle if seal is broken. 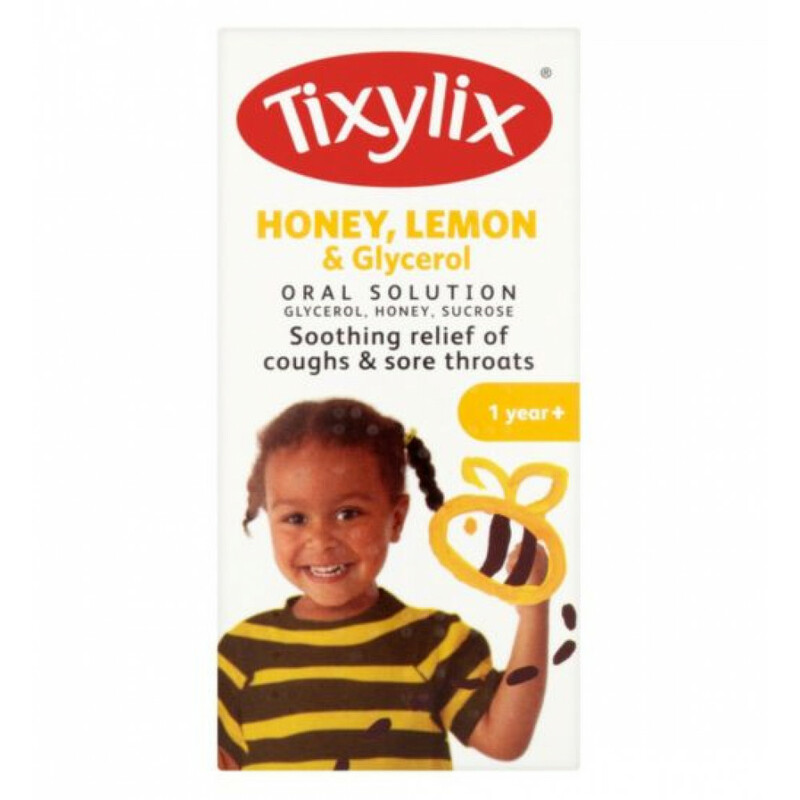 Along with Tixylix Honey and Lemon you may help your child recover by keeping your child cozy and warm, by keeping his room properly ventilated and giving him plenty of warm fluids. Consult a physician if symptoms persist even after 5 days of therapy. Do not give this medication if the child is hypersensitive to any of the constituents of the medicine. Consult a doctor if the child is coughing up rusty brown, green, yellow, bloody or foul-smelling phlegm. Seek medical advice before giving this medicine to your baby if the baby is suffering from asthma, wheezing, shortness of breath, recurrent night-time cough, and sudden weight loss or if the baby is experiencing a persistent cough over a prolonged period of time. Never exceed recommended dose. Discontinue use if there is rash, fever or persistent headache along with coughing. Get in touch with a pharmacist or your doctor. Avoid having this syrup in conjunction with other cough and cold formulations including cough suppressants. Seek medical intervention in case of an overdose. You must always use the spoon provided along with the pack for accurate measurements. Children between ages 1 year to 5 years may be given 2.5ml every 4 hours. For children between 5 years and 12 years you may give 5ml 4 hourly. For children aged above 12 years 10ml to be given 4 hourly. There should be minimum 3 to 4 hours gap in between doses. You may give maximum 6 doses in a day.